Samsara Healthy Holidays is much more than just a plan to lose weight by following healthy habits; it’s a lifestyle choice, which we would like to share with you during your stay with us. 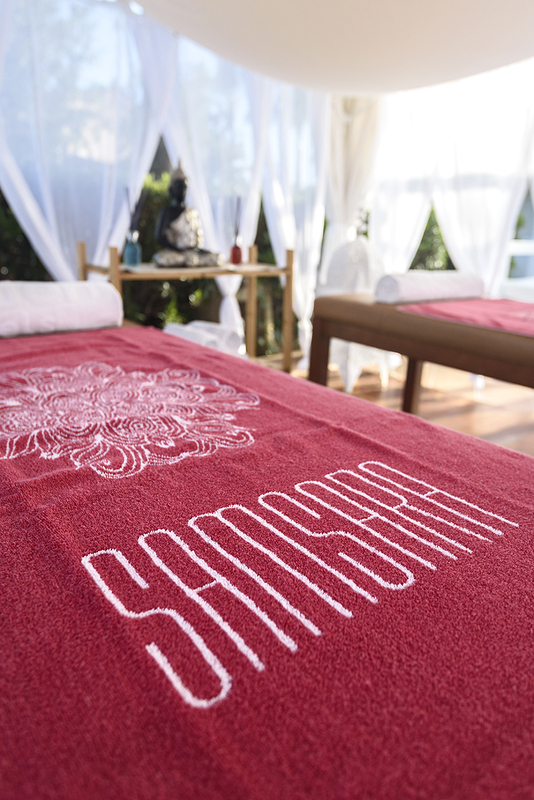 Taking care of yourself is the starting point to a healthy life and at Garden Hotels we would love the opportunity to show you our Samsara Body Slim package, a unique programme designed for your complete well-being. Stay from 3 to 14 nights in Garden Holiday Village according to room selection. Personalised menu prepared by the hotel nutritionist, and customised according to the client’s objectives. Includes breakfast, lunch, afternoon snack and dinner (lunch on day of arrival and breakfast on day of departure). Welcome talk with programme presentation by the Lifestyle Coach. Body analysis ​​both on arrival and at departure by the Lifestyle Coach, with the Tanita MC professional scale, analysing total body fat mass, body mass, cellular mass, skeletal muscle, body water content, BMI, metabolic rate, visceral fat, basal metabolism, among many others. Explanation of the analysis, along with initial advice about well-being and nutrition. Daily talk and advice about nutrition and healthy habits by the Lifestyle Coach. Exclusive access to educational workshops carried out by the Lifestyle Coach, with demonstrations of healthy recipes, recommendations of daily healthy habits, etc. Exclusive amenities such as tea, lemon, ginger, water, a teapot and bathrobe, environmentally friendly bag, recyclable water bottle, aromatherapy roll on, body brush. * Vegan and gluten-free menus available. 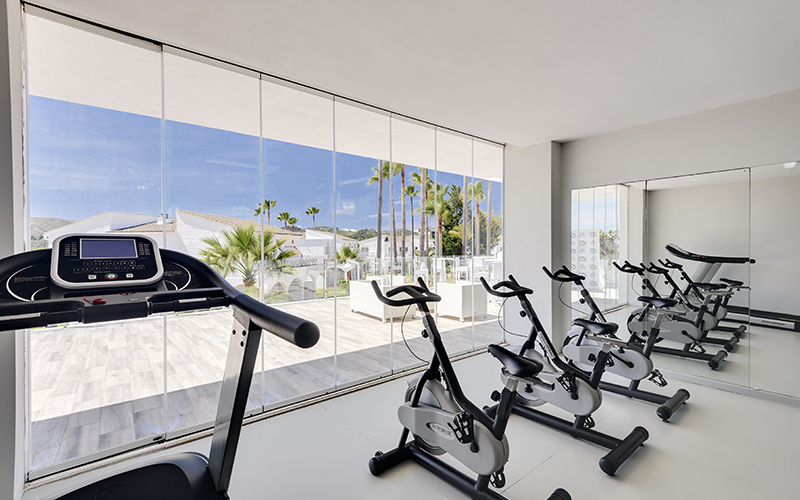 * Activities such as yoga, pilates or meditation classes and exercises will take place both inside and outside the hotel, depending on the weather and the number of people in the groups. 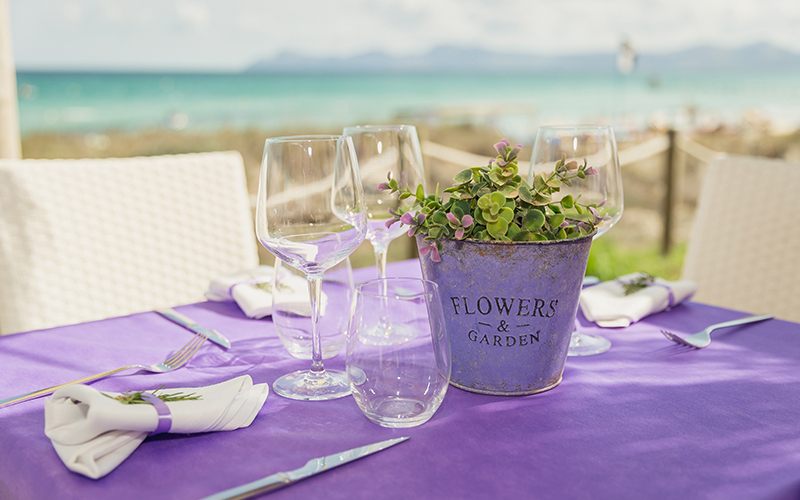 Activities outside the hotel will take place at the Samsara Beach Club. 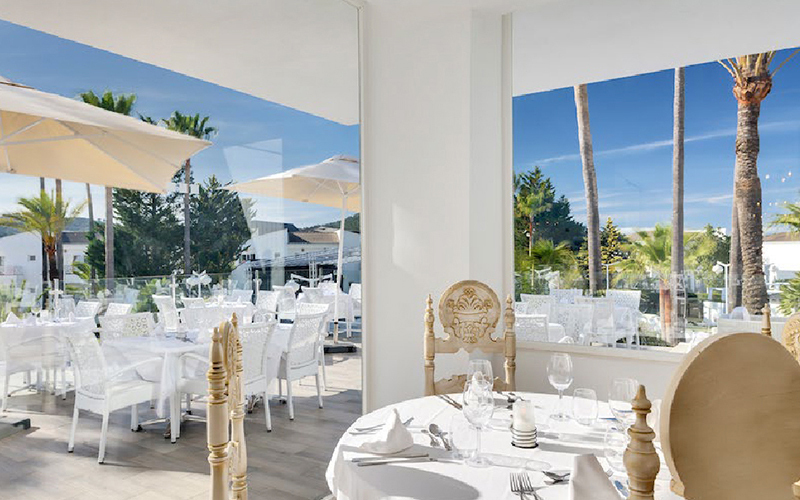 * Breakfasts will be made either at the exclusive Bhoga hotel restaurant or at the Samsara Beach Club. We would like to tell you about our Samsara Healthy Holidays philosophy, a new concept of personal care created especially for you, as you too need to spoil yourself. Yes, you do. You deserve a wellness holiday with an exclusive, personalized exercise and health program. We hold our talks on wellness here, as well as a few of the yoga and meditation classes. 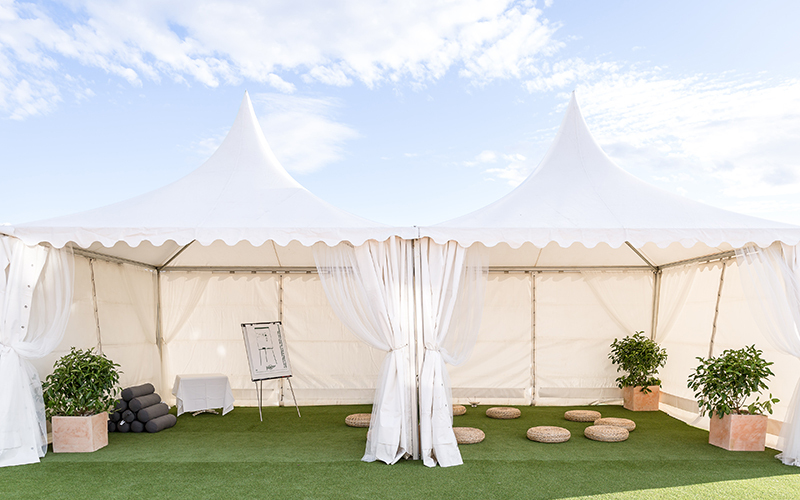 An exclusive and unique space housed within the hotel’s expansive gardens. Our impressive Beach Club, just 5 minutes away (transport included) is the perfect setting for beginning with a few TRX/HIIT training sessions, followed by a good breakfast with incredible sea views in the backdrop. Our professional Lifestyle Coach is in this office available to assist you whenever needed, and on a one-to-one basis. In addition to your stay’s initial and final body analysis, the coach’s comfortable office is always open to you. 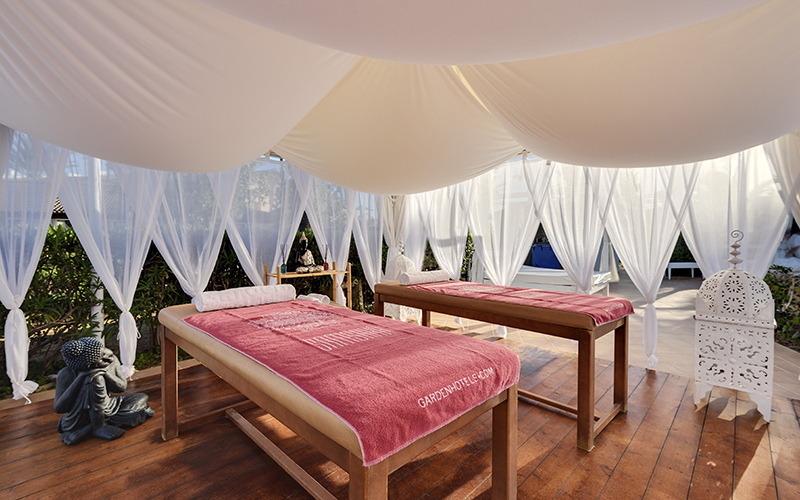 Make the most of the other areas in the hotel too: such as the gym, sauna, swimming pools, outdoor jacuzzi and massage tent next to the pools.